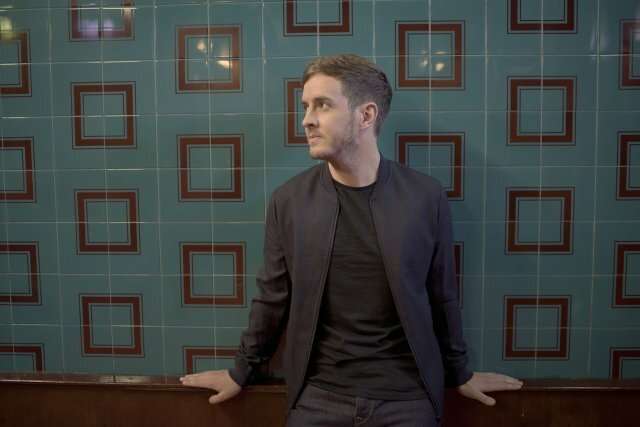 Stevie McCrorie won The Voice UK at the beginning of the year. Since his victory he’s seemingly kept a very low profile but he’s actually been busy recording his debut album Big World. The first taster from the album is single My Heart Never Lies, which establishes him as a credible singer/songwriter and a different proposition from previous winners of the show. We caught up with Stevie before Christmas to find out more about his album, talk about his decision to take his time, and to ask what advice he would give to the next batch of The Voice UK contestants. Hi Stevie. How are you today and where does this email Q&A find you? I’m doing great today – its great to be down in London doing promo for the album. I’ve got an album on a major record label so its exciting times! Your new single My Heart Never Lies is out now. What’s the song all about and what inspired it? The single is taken from Big World, your debut album due out in January. What can your fans expect from the record? It’s a right mixture! It’s a very heartfelt album and there’s upbeat songs, there’s stuff that’s relaxed and stuff that’s a bit rockier. I feel like there’s songs on the album that can appeal to everyone. Rather than rushing the album out, you’ve spent the year working on it. Why did you decide to take your time? I believe that TV success depending on what it is, might not last very long and I didn’t think I’d last very long if I sang other people’s songs. When given the opportunity to release an album on a record label I was going to write it myself because I’ve been a songwriter for a long time. The Voice UK has given you a great platform to launch yourself as an artist. What was the biggest lesson it taught you? The biggest lesson its taught me is that nothing lasts forever. I mean the TV stardom was amazing at the time but it didn’t last that long. Its taught me to keep my feet on the ground. I’ve always done that but this kind of solidified that idea in my head. Ricky Wilson was your mentor on the show. Did you play any of your new album to him and did he give you any feedback? Yeah I played him some of the tracks and he said he thought they sounded great. His favourite was ‘If We Wait’ which makes sense as its quite an anthemic, band-sounding song. What is the one thing you want people to take away from Big World after they’ve heard it? Apart from the obvious of making people feel something and to enjoy the music, I’d say the big thing I want people to realise is that I am an artist and not just someone who won a TV show. I want people to think ‘This guy’s got a great album and I want to be a Stevie McCrorie fan because of his music not because he won a tv show’. What’ your favourite track on the record and why? Probably ‘Lungs’ because its one of those songs I’ve always wanted to write. 3 years ago I started to write a big emotional song and I remember writing it in my living room and thinking this could sound huge even on an acoustic guitar. What advice would you give to the contestants ahead of the next series of The Voice UK? I would say be patient and stick to your guns with what you do. The moment you try to be somebody else or let pressure effect you it can take a hold of your mind and it will affect the way you song and the way you come across – it happened to me in the finals! Do it because you love it and don’t get carried away with the competition side of things. What else do you have coming up in 2016? To make people realise that I am a songwriter and get out there and get gigging and to hopefully one day become a bigger artist than I was a tv star in that moment.